Once you step into the halls of Mythos Academy you won't want to leave it again. How can you not love a book that has a Library of Antiquities and mysterious statues that guard the school and work to keep the bad guys out? There are descendants of Amazons, Spartans, Valkyries, Romans and more at this unique school. Logan Freakin Quinn (as Gwen calls him) puts that sparkly vampire to shame. He's such a great YA love interest. One of the best parts of this book is that even though you just know that Logan is into Gwen, she pretty much ignores him and goes about her business as usual. Eventually though, she realizes that she's crushing on him big time, but it doesn't encompass the whole story. Logan is just a tad mysterious and shows up at just the right time to keep Gwen from getting into to much trouble. He's one of those characters that once they show up you immediately want more of. 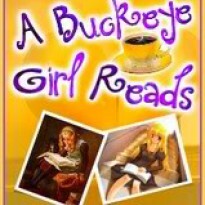 Gwen is such a fun heroine because while she has the typical teen angst going on, it works for her. She knows she is different, and rolls with it. She doesn't always use her gift for the greater good, sometimes she uses it to find stuff for people & make a little extra money. That's how she meets Daphne, a Valkyrie who is apart of the popular crowd, but is trying to be different. I loved the relationship between Gwen & Daphne and how fitting in isn't always easy or the right path-how it's ok to be your own person. The mystery itself was fun, and when it comes to figuring out who did what, I am the worlds worst sleuth, mainly because I like being surprised at the end of the book. I enjoyed all the twists and turns it took and while I should not have been surprised at how it turned out, I was. There is also the added mystery of Gwen's background, which I loved. 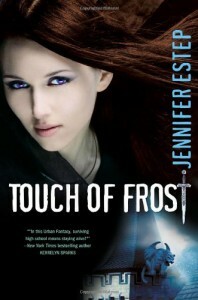 The ending made me want more, and I can't wait until book 2, Kiss of Frost comes out in December. If you are looking for something a bit different in your YA books, then I highly recommend giving this book a try! Even the lowliest geek here knew how to chop off somebody‟s head with a sword or could turn your insides to mush just by muttering a spell or two. It was like going to school in an episode Xena: Warrior Princess. I shook my head to clear away the rest of the stupid romantic fog. Of course he didnt, I chided myself. He was Logan freaking Quinn, the guy who went around Mythos Academy and signed the mattresses of all the girls he slept with. What had I been thinking? Because there was fun and then there was insanity. And anything to do with Logan fell squarely into the latter category. Logan looked at me, guilt flickering in his eyes. He opened his mouth like he wanted to say something to me, but I didn't give him the chance. I turned on my heel and walked away, leaving him to his date for the evening.